Whether you require commercial neoprene or military specification, Midwest Rubber is your one call source for rubber sheet. 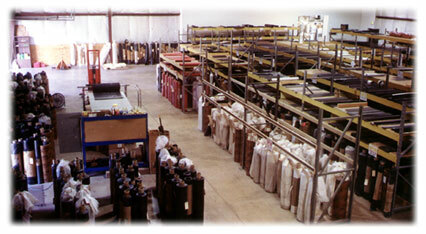 Our vast inventory of rubber includes over 100 different compounds from .015 through 3.00 inches in thickness. Our knowledgeable sales staff will provide you with fast, personal service. No menus, no voice mail—just informed and trained personnel! Most orders ship the same day they are received, whether you need one square yard, or full rolls. Custom slitting is available in order to customize to your exact specifications. Midwest knows what it takes to get the job done.